Like many people, Dorothy Day (1897-1980) just wanted to find fulfillment in her life. Entertaining Angels: The Dorothy Day Story shows how she found it in serving New York's poor and being a voice for the voiceless. 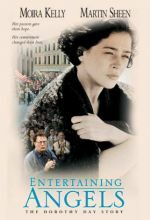 Moira Kelly delivers a winsome portrayal of 20 years in Day's life, during which she undergoes a religious transformation that changes her life forever. The film shows Dorothy's struggle as she establishes the Catholic Worker movement and commits herself to a lifetime of peacemaking, battling for justice, and hands-on service to the poor. Popular stars and important themes combine in this compelling true story of the "American Mother Teresa," filmed by Paulist Pictures (Romero) from a script by ER writer and executive producer John Wells. 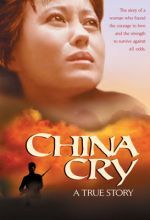 Martin Sheen, Melinda Dillon and Brian Keith join Kelly in this moving saga of a faith not just believed, but lived. RATED PG-13 for a range of thematic elements, some sexuality and brief language. The story of this great “saint of the streets” is brought to us by the same folk who gave us Romero, Fr. Ellwood Kieser and his Paulist Productions. 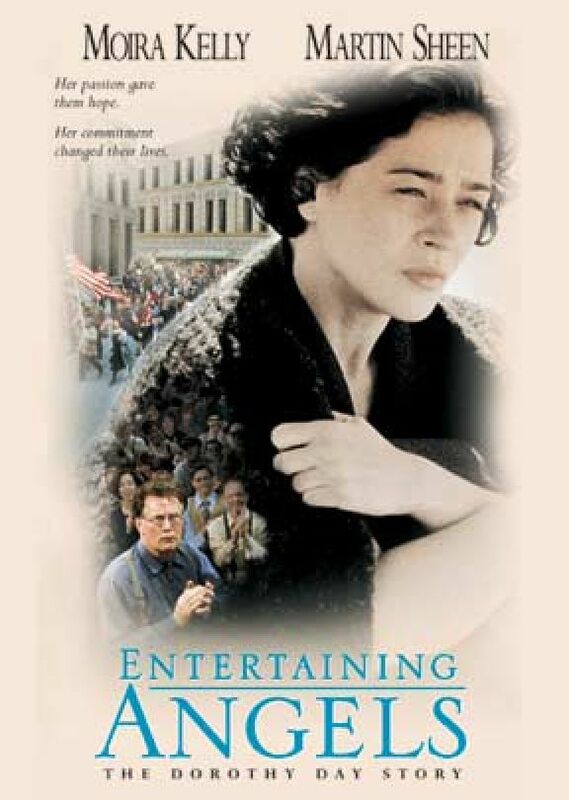 Starring Moira Kelly as Dorothy and Martin Sheen as her mentor Peter Maurin, the film spans the years from 1917 to 1963, but concentrates on the first thirty years of Dorothy’s careers, from her experience as a journalist working for the radical newspaper The Call to her years of running a series of food kitchens and dormitories in her home while simultaneously editing the Catholic Worker. A journal combining muckraking and a concern for spiritual matters, the Catholic Worker grew from its initial press run of 2500 to a circulation of 150,000 during the Depression. Sold at a penny a copy, the newspaper was read by the homeless and the powerful, giving Dorothy a voice that touched the hearts and minds of a vast, and varied, audience. Fr. Kieser gathered an excellent team to produce a film with high production values. The myriad period costumes and props, the scenes of teeming city streets, the rich, painter-like lighting — all suggest a film costing far more than it did. The director is Michael Ray Rhodes, best known for his television work Christy (for which he received an Emmy) and episodes of China Beach, Equal Justice, In the Heat of the Night, and more. Writer John Wells, executive producer and writer for the Emmy-winning television series ER, has done the seemingly impossible task of condensing Dorothy Day’s amazingly rich and complex life into an all-too short 111 minutes. Dorothy Day is a woman who started her career as a writer working for radical and Communist journals during World War One, hobnobbed in restaurant-bars with writers like Eugene O’Neill and John Dos Passos, entered into a number of heart-breaking affairs, reluctantly had an abortion, wrote a book and then a screenplay, and thereby was lured to Hollywood by a film studio, marched for practically every socially progressive cause — from the suffragette movement to labor strikes, anti-war and civil rights demonstrations — gave up her common-law mate in order to convert to the Catholic church and have her baby baptized, took into her own apartment the poor and the rejected, fed, clothed and, in many cases, rehabilitated them, spoke at great assemblies and then went to clean toilets, spent months in jails, both to visit the poor and as a prisoner herself! Whew–thus, much of her activities is merely hinted at in the film, or even passed over. (This can be confusing, as in the quick jump from Dorothy’s grief at having an abortion and being abandoned by her lover to her beach-side cottage where she has retreated for solace. Of course, what we notice the most is the cast, and a good one it is, with Moira Kelly providing just the right blend of naive simplicity, passion and tough resolve, never descending into prayer-card sentimentality or bathos. 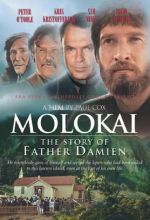 Martin Sheen, once you get used to his French accent, is excellent as the French peasant-philosopher Peter Maurin, who becomes Dorothy’s demanding mentor, constantly challenging her to trust God in providing money for both their paper and their efforts at caring for the poor. Incredibly, at those crucial times when Dorothy was out of resources, the money did come in! 2. The excellent transition from Dorothy’s receiving a glowing introduction and standing ovation at a conference to her scrubbing a toilet on her hands and knees. 4. Dorothy, anguished at being misunderstood by her own rebellious staff and despairing over the suicide of a woman she was trying to help, pours out her heart before a large crucifix in her church, “Where are you? Why don’t you answer me? I need you! These brothers and sisters of yours, the ones you want me to love – Let me tell you something! They have lice and tuberculosis. Am I to find you in them? Well, you’re ugly! You drink. You wet your pants. You vomit. How could anyone ever love you!? (She sobs.) I need you – but you’re not here! You’ve deserted me too — haven’t you? I’m not who you thought I was. I’m sorry.” She walks back down the aisle. The person she turns to is not a priest or associate but her old Communist friend Mike, the newspaper editor for whom she once worked. He reassures her that although his Party has talked about feeding and clothing the poor, she has actually done it. The end of this movie left me in a place of complete silence as the impact moved deeply my heart. Here I saw the miracle of seeing Jesus in the hardest to live with and to love. It showed me how little I know about God's love. It caused me to begin the journey of asking God to teach me how to love. I am finding out some amazing things. Let the movie do its work in your lack and then give you the desire to know and live God's love. We incorporated the video into our youth group program to address social justice issues. The film is very hard hitting from it's opening scene. It is effective to garner the attention of an audience you would like to awaken to the needs of the "least among us". Entertaining Angels looks at the reality that most of our homeless are afflicted not only by poverty but many by mental and emotional issues, addictions that complicate or cause those problems. I recommend the movie as a powerful reflection of how any individual can act as an instrument of God's love in the painful and sometimes dangerous work of responding to the needs of the least among us.